GDP | GUHDO has introduced a new generation PCD Router Bit which provides excellent tool life and superior finish on a wide range of materials from particleboard, MDF, melamine to phenolic and other composite panels. 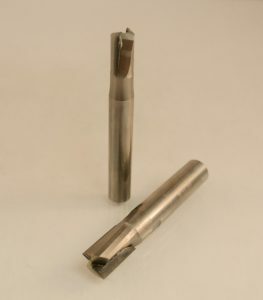 This two flute opposite shear design on a solid carbide tool body runs exceptionally quiet and provides excellent finish top and bottom on double sided panels. Suitable for nesting operation and feed speeds +/- 500”/min. The solid tip design insures aconsistent smooth edge. To maximize tool life, ordering this tool on an HSK Heat Shrink Tool Holder can increase life up to 30%. Sizes are available from 8mm to 1/2″. Machining composite materials often represents a challenge with standard tooling. Special cutting geometries are required to perfect the finish on very abrasive, hard to machine materials such as HDF, fire-rated MDF, Thermoplastics, Phenolics, fiberglass-reinforced plastic composites, cement fiber panels and other similar composite panels. GDP | GUHDO has introduced some standard PCD tipped tooling to machine such challenging materials, available from stock. 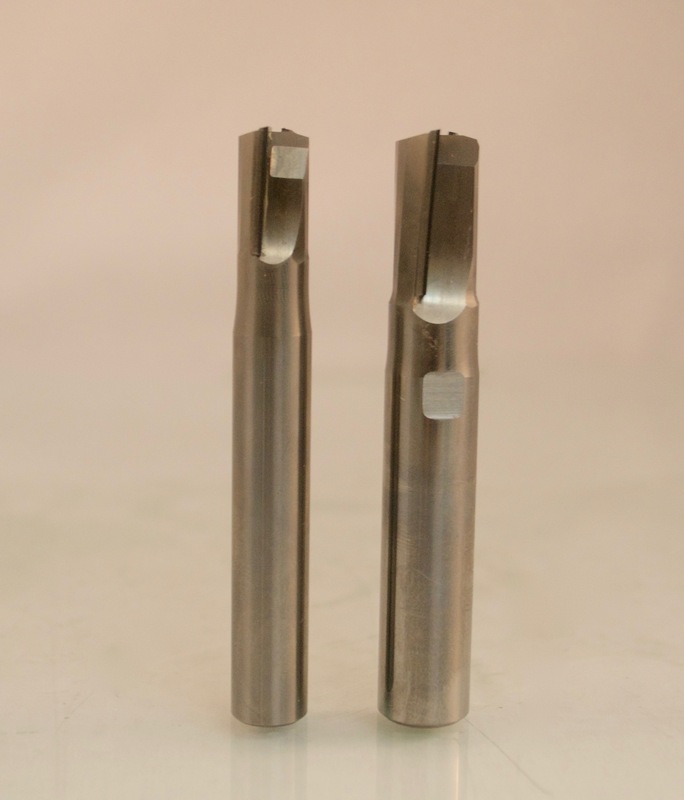 These router bits feature solid carbide bodies and 2 continuous PCD tipped flutes that are positioned on opposing axial shear with PCD bottom cutting to provide cleanest finish. Very suitable for nesting applications. Typical machining parameters for Thermoplastics are 15,000-18,000 rpm and a feed rate range between 1 – 5 meters / minute. For other composite panels 18,000-24,000 and 6-9 meters / minute. 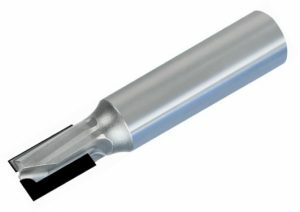 If too much heat is generated while cutting plastics, the rpm should be reduced to maximize tool life and performance.